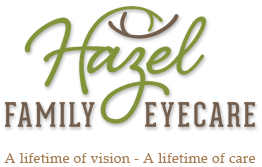 Welcome to the Patient Resources page of the Hazel Family Eyecare website. At Hazel Family Eyecare, we strive to promote better vision and ocular health through education and evolving technology. We're proud to offer the Patient Resources page with an array of resources from eye care news to specialists referrals. Not all vitamins and nutritional products are created equally. Dr. Fowler recommends the highest quality nutritional products that were formulated based on scientific research and made with premium, non-synthetic, whole food products when possible. Omni Eye Center. The Specialists at Omni Eye Center are the leaders in cataracts, corneal and anterior segment disease, and retinal care. Georgia Eye Partners. Georgia Eye Partners has excellent glaucoma, oculoplastic, and corneal specialists. Georgia Retina. Georgia Retina has several well-respected retinal specialists that offer state of the art care. TLC. TLC Laser Eye Centers offer the best in refractive surgery care.